dearest crinkled comrades, as you’ve seen I’m not posting on here much, but I feel you should know the drawing’s still happening. I’m even getting better, dontcha know? Just wanted to say I definitely won’t be around to give you tasty comics treats until January, so sit tight. Come January, though, you’ll want to hold on to yerr butts, buckaroos, because there’ll be a ground swell of posts that I’ve backlogged as drafts. much love from the crinkled corner. 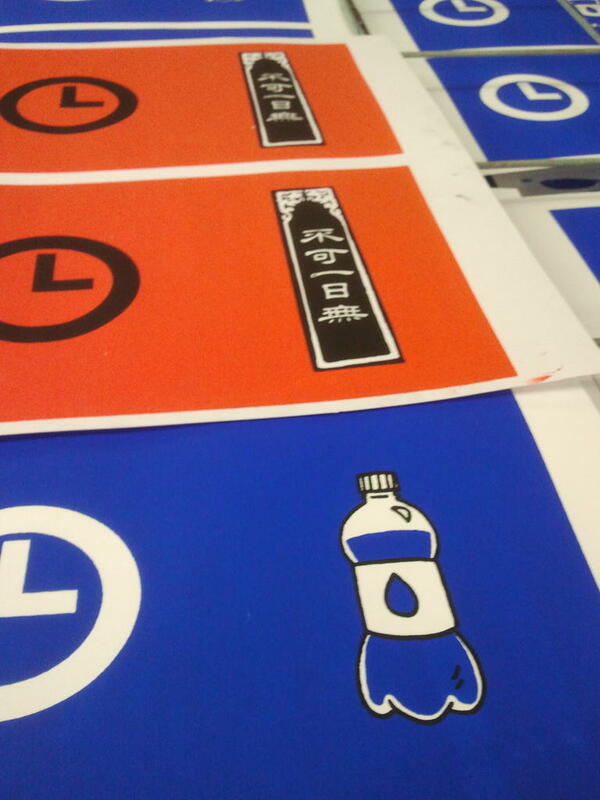 I’ve finished all of the screen printing for the CCS anthology! Now to buckle down and finish the comics! 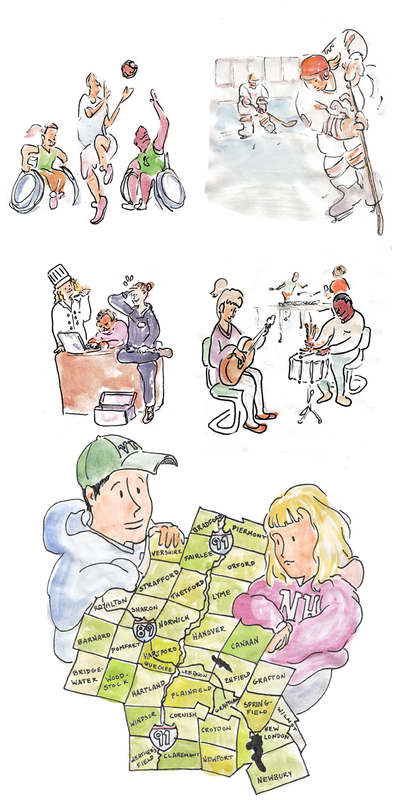 Take a gander a the lovely little bellyband that we’ve made for the 11 minicomics. That’s right, it’s going to be a wearable communicator! 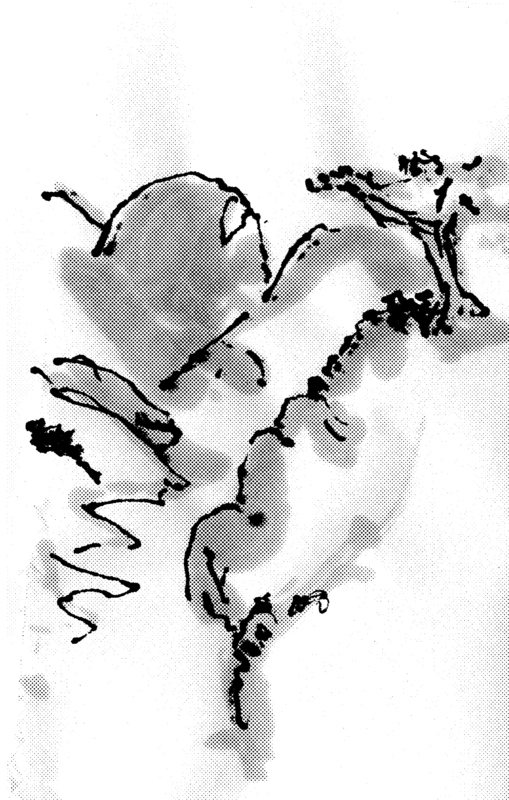 I’ve been experimenting with ink techniques on my story about the delivery of Sumi Ink to a poet and I feel that I’ve finally found something that works. Each page will have a landscape with an excerpt from the letter that the protagonist is writing. 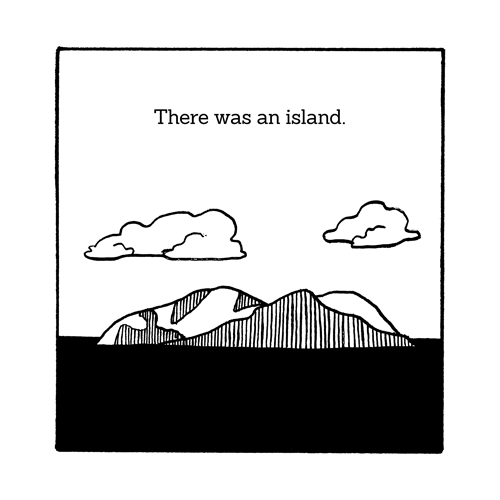 I’m healthily reverse engineering the landscape depictions from Kevin Huizenga’s Case 0003128-24, found in the collection put out by Drawn and Quarterly, Curses. It’s a fun process trying to figure out how he made those pastiches of Asian landscapes. I want to add details with the medium Faber Castell pen’s while not trapping the grays in too much. Later I half-tone the sumi ink, which gives a nice uniformity and wispiness to the grays. 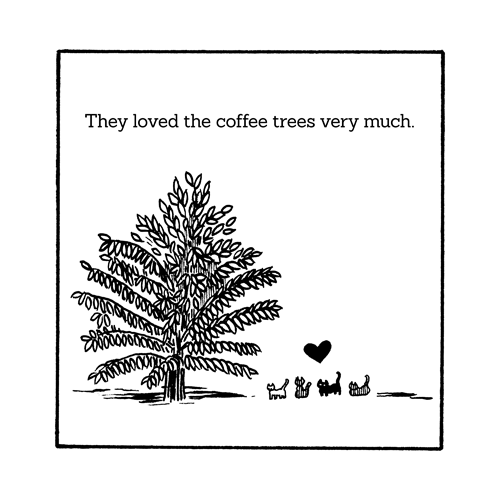 Ideally, there’s a good deal of levity in the drawings. The trick here is to not overdraw them and to savour the drawing of individual lines slowly. The letter is pretty meditative, after all. In the case of my Yves Klein, Claude Pascal, Armand Fernandez story, I’m working in the clear line style that I know how to rock with the Pilot Precision V7’s. 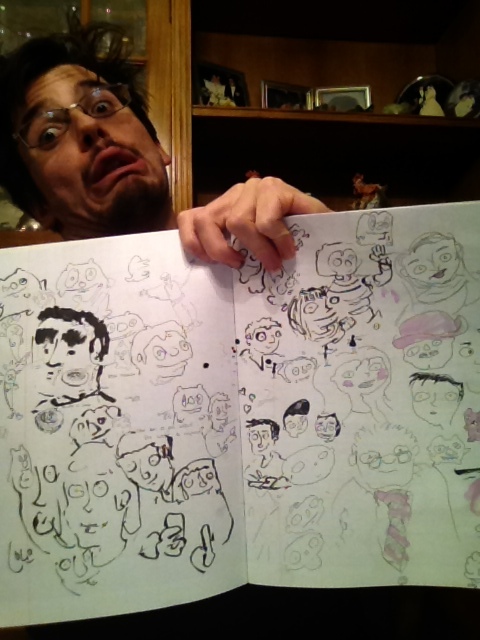 I’ll show you some process real soon, folks. In the music land, Blockhead keeps me pushing into the night when I really need to. 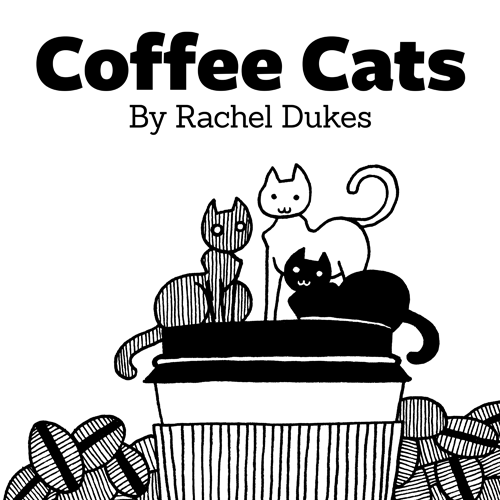 My friend, Rachel Dukes, is running an Indie Go Go Campaign to reprint some old work along with some brand spanking new comics. 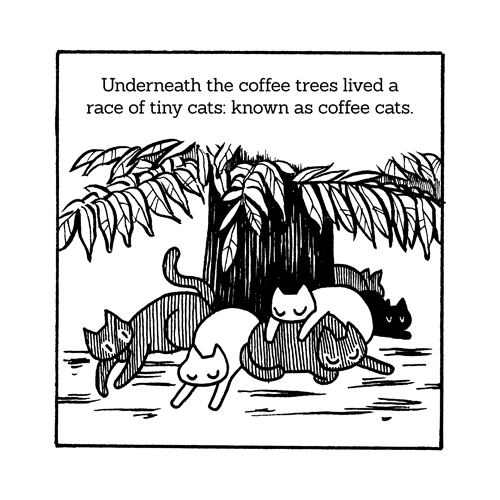 If you’re a fan of Coffee, Cats or Comics you’ll definitely want to check out her work. She’s got a spritely line that sits on the page like a familiar friend. She warrants paying attention to. 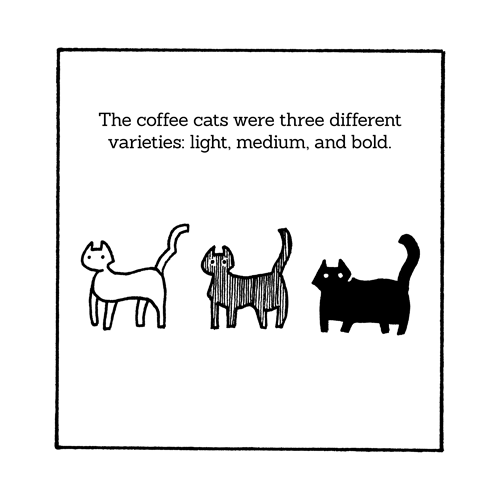 Have a gander at Coffee Cats to see if her work tickles your fancy. If it does, why not help financially support her comics making endeavors? 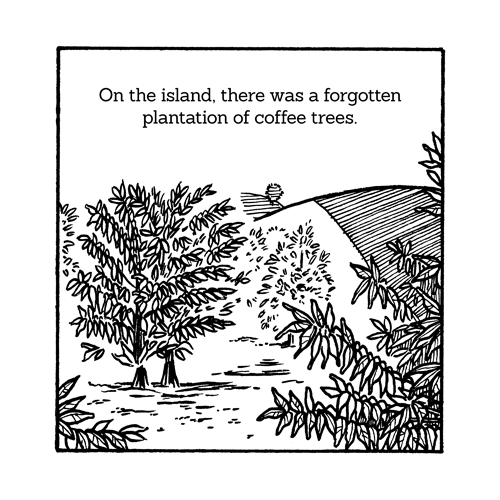 You can find more of her work on her site, Mixtape Comics. Speaking to my own work, below you’ll find a selection of a couple of my favorite illustrations that I did for the Dartmouth-Hitchcock Pocket Guide For Upper Valley Teens. I would be lying to you if I told you I wasn’t pooped. The semester is coming to a close here at the Center for Cartoon Studies and that means that the First Year Anthology Deadline is rearing its little old head up on the horizon. 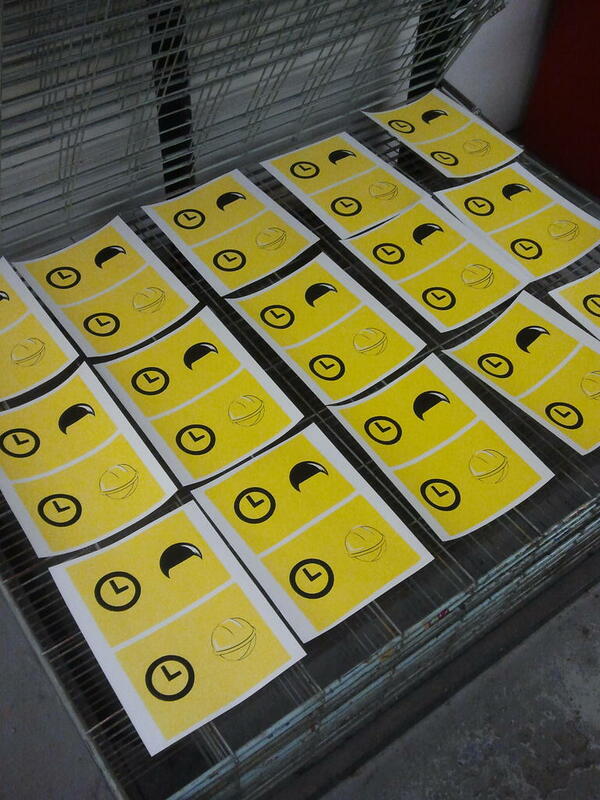 As such, I’ve spent the past days this weekend screen printing a good number of covers for an upcoming project. No drawing, no writing, just printing and trouble shooting(lots of that!). Alongside 3 partners, I’m creating 11 little booklets that will be bound together by a bellyband (that’ll be a wearable “communicator”). You can see some of the covers below. As mentioned in earlier posts, each of the stories will work together to create the notion of a Time Travelling Parcel Service, that is, the TPS. Each story is thus the delivery of an important object in history. The deliveries range from Abraham Lincoln’s top hat to a water bottle to the last human being on earth. It’s been enormously interesting to see how much this project has slowly changed from the onset. 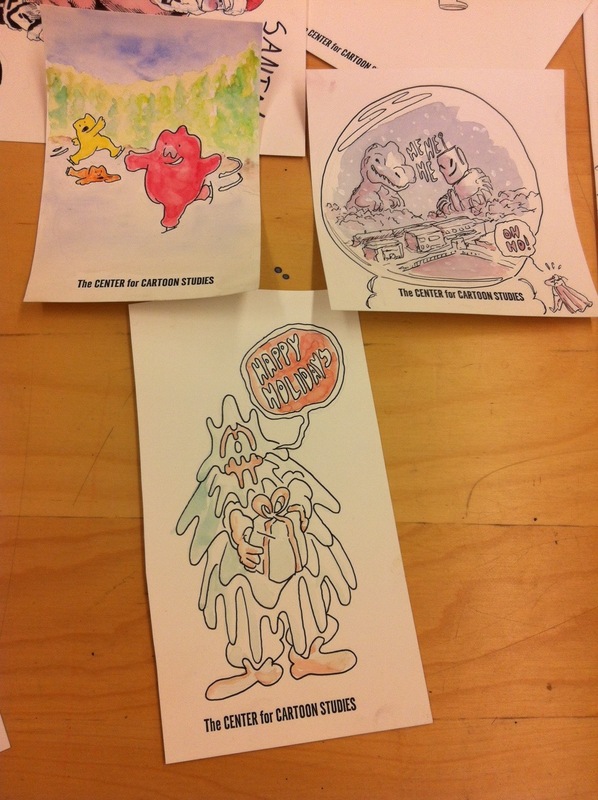 Until our next encounter on the internet, friend, I leave you with a few winter themed drawings I did during a little drawing party at CCS, along with the sweet sounds of Air’s Talisman.